I took this from my backyard in Corvallis Oregon, I used the Televue NP127is on a Celestron CGE PRO mount, the camera is an SBIG 8300m. This is a combination of 8-15 minute light frames so 2 hours of data. I really like Black and white for M31 it shows a lot of depth. I used CCDops for image capture and combined them in Maxim DL5, I finished it up in Photoshop CS5 then reduced the size for this image. 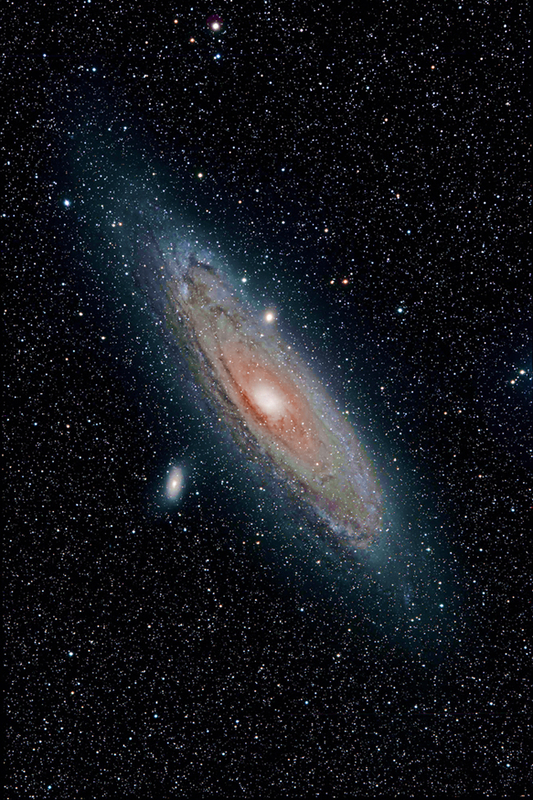 The Andromeda Galaxy is a spiral galaxy approximately 2.5 million light-years from Earth in the constellation Andromeda. 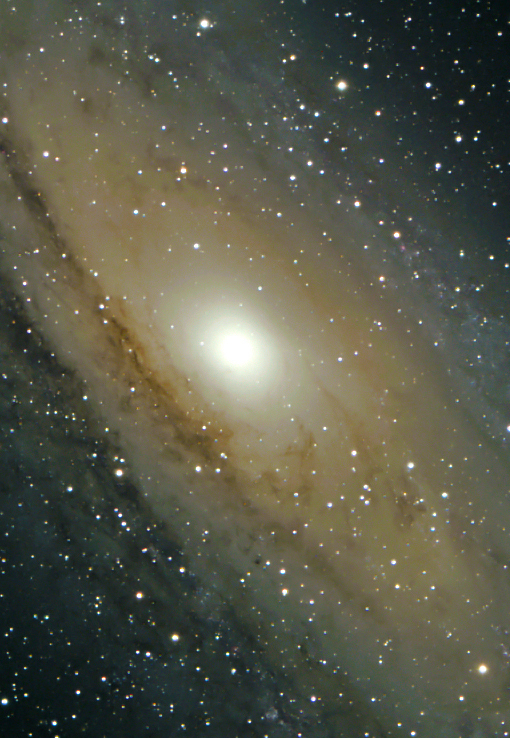 It is also known as Messierr 31, M31, or NGC 224, and is often referred to as the Great Andromeda Nebula in older texts. Andromeda is the nearest spiral galaxy to the Milky Way, and will collide with our own galaxy in about 4.5 billion years.